I've always tried to keep our homeschool saturated with math, and opportunities to practice math. This is why I was so excited to hear about I Know It. Brought to you by the same people who bring you one of my personal favorites, SuperTeacherWorksheets.com, I Know It offers a fun experience online practicing math. For this review, we received a Family Membership good for one parent and up to four students. They also offer a FREE TRIAL good for 60 days. As I mentioned before, I Know It is a division of SuperTeacherWorksheets.com. SuperTeacherWorksheets.com has been a staple in our homeschool from the very beginning. It was the first membership I ever purchased because as a single mom/full-time college student, money was super tight and I needed to make sure anything I spent my money on was going to be well worth the funds. SuperTeacherWorksheets never failed to give me my money's worth, and then some. I'd teach a lesson, then go to SuperTeacherWorksheets.com to print off materials to supplement that lesson, all the while wishing that eventually they'd come up with online learning, too. Well folks, my wish was granted! 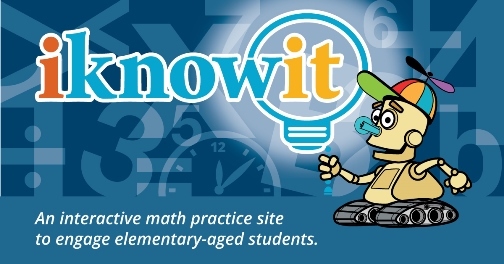 I Know It is the online learning for math I have longed for from the parent company! Logging in is easy. I have it set up so that we are always logged in, and as soon as I go to the website I'm offered the option of signing in as myself, or Mr. B. Each user has a cute icon, too. As a parent, I have the ability to assign him lessons to be completed. First I click on the grade level in the left. And when I do that, this screen appears. I can scroll through and pick whatever topics I want at this point. Hovering or clicking on a topic will give you a preview of what the lesson is. Once you click on it, you have the ability to assign it to whatever students you wish. When you do that, it automatically adds it to their assignment page. When we first logged on, I set up several assignment for Mr. B, then emailed him a link to his assignment page. I like how I get a confirmation that I have indeed assigned a particular assignment. I can also pull up what I have assigned, when I assigned it, and if he has completed it yet. If I want to see anything about our account, I have all the access links right at the top. They're right there on his homepage! SO EASY! Lessons are short and to the point, and cover things in a topical fashion. It is important to note this is NOT a "teaching" math curriculum. It is a math supplement. It is intended for you to teach your child the math lesson in your chosen math curriculum, then use this as a means to supplement that lesson with additional practice. I love how the lessons are not overly busy at all. There's color, so it's not boring, but there's nothing in the way of distractions. There's a progress bar on the side there that keeps track of total score, and what is left to do in each lesson. This is great for kiddos like Mr. B who need that visual counter to see the "light at the end of the tunnel" so to speak. He's able to see he's finished X amount out of 15, so he knows he only has a few more to go. After each problem, your child gets confirmation of correct or incorrect. Mr. B likes the validation of a job well done, and I like being able to see what he has gotten incorrect. He's able to get a visual of what he got wrong, and why. This gives me the ability to teach that concept again, and helps him retain it better. The visuals are really great for visual learners, like Mr. B .
I can go in at anytime and pull up his progress to see when he logged in last, what areas are problem areas, etc. He can also see his own progress from his account. His settings and progress links are also located at the top for easy access. Overall, we love this. It's exactly what I would expect in an online math supplement. Lessons are short and to the point, without a lot of distractions. There's in-program validation, which is a great built in motivator, and kids can keep track of their progress through out each lesson as they are in the lesson, and their overall progress. Parents have complete control over their child's learning experience, and they can see progress, assign lessons, etc. as needed. Overall, we highly recommend this to others! Does I Know It Pass My 4 Ingredient Test? The whole idea here is to customize a math supplement to fit your needs. As a parent you choose what topics to assign. You have full control to move about the lessons as needed. You are bound to the terms of your membership duration. This is really great for ADHD/Autism in that it is colorful enough to not be boring, but it has that great counter on the side that keeps track of where you are in a lesson. There's also the built in "Good Job!" banners that pop up for each correct answer. This is only math. I would personally LOVE to see them add additional subjects in the future. 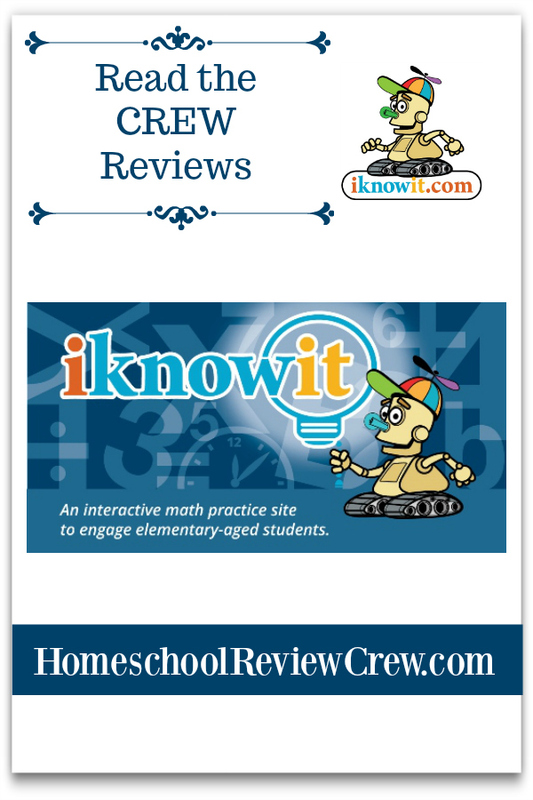 Please click the banner below and read more reviews by The Homeschool Review Crew!